Raghava Lawrence, who is gearing up for the release of Kanchana 3, has opened up on his friendship with Thalapathy Vijay. 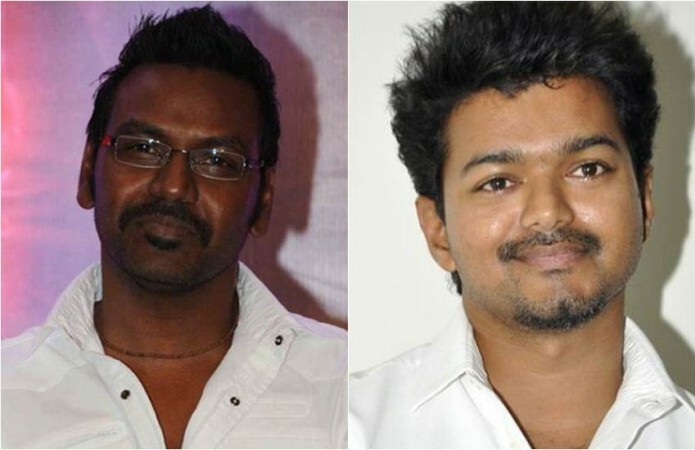 It is well-known that Raghava Lawrence is a good friend of Vijay and they have admiration for each other's works. But people are not much aware of the kind of bonding they have and the choreographer-turned-actor has opened up on it. In an interview, Lawrence has revealed that he has friends in film industry, but Vijay is his only close friend. He claims that they never discuss about their work and they conversation will be just like two normal friends when they meet. "From Megamai vandhu song to Thaam Thakka where we were growing up in the field, we have crossed paths and played a good role in each other's growth. Whenever something good or bad happens, he will be the first one to call me. We attend each other's family events. I won't say I don't have other friends but Thalapathy Vijay is one close friend of mine," Behindwoods quotes the actor as saying. There are numerous of instances which tell about their friendship. One such example is an incident where a just phone call from from Raghava Lawrence was enough for Vijay to arrange a special screening for the under-privileged children from his school. Likewise, whenever Lawrence needed support, Vijay has always done his bit without publicity. Meanwhile, Raghava Lawrence is geared up for the release of his next film Kanchana 3. The multilingual film, which has Oviya and Vedhika in the female leads, is hitting the screens this Friday, 19 April. Whereas Vijay is working on Atlee Kumar's next film, presently referred to as Thalapathy 63.